Coming clean on the couch isn’t easy. And what do I mean by that? This is a post about self deception and how it stops you cold from achieving your best self. Self deception exists in many forms. We tell ourselves it won’t matter if we just have this extra helping of mashed potatoes or purchase this designer handbag on sale. The credit card bill is already high–what the hell. But how about self deception as a form of [false] protection? Lately the world is abuzz with talk of narcissism. Politics aside, sometimes I see this in the therapy room. It is more subtle than you might expect. These behaviors are not as black and white as this yin/yang symbol. Indeed, this set of emotional behaviors is more like 50 shades of gray! Why? Because it is often difficult for a partner to pin down why they are the ones feeling exhausted and depressed when dealing with a narcissist. Is it Oz? The comparison of Oz as the epitome of the narcissist is used by Eleanor D. Payson in her book The Wizard of Oz And Other Narcissists. She sees the wizard from the movie The Wizard of Oz as a glowing example of narcissism, and Dorothy as the “codependent” who repeatedly and desperately tries many ways to please him in her goal of getting back home. In this classic example, both parties fit together in a yin and yang manner, perpetuating this painful dance. 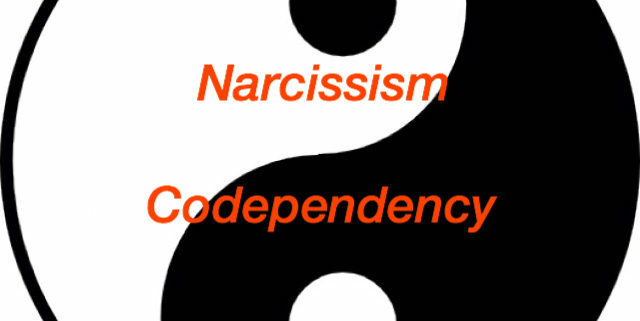 http://pagerutledge.com/wp-content/uploads/2017/02/Narcissi-codependency.jpeg 640 640 Page Rutledge http://pagerutledge.com/wp-content/uploads/2016/07/Anxiety-Disorders-Treatment-Logo-White-300x138.png Page Rutledge2017-03-05 12:37:112017-03-05 12:37:11Is It Oz?